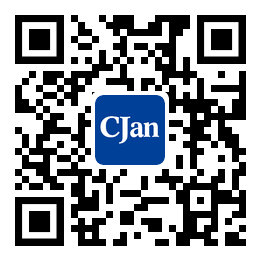 ﻿ Basic Introduction of Stainless Steel Flange - CJan Fluid Technology Co., Ltd.
Flange is also called flange plate or flanging flange. The flange is the part that connects the pipes together at the pipe end. There are holes on the flange and the bolts will fasten the two flanges together. Gasket is used in the sealing between the flanges. Flange falls into two types: threading flange and welding flange. Flange is always made of stainless steel so it is also called stainless steel flange. Flange is a disc-like part that is most commonly used in pipeline engineering, and in pairs. In pipeline engineering, the flange is mainly used for pipe connections. In the pipe that needs to be connected, each install a flange, low-pressure pipe can use wire flange, to those pipe weight more than 4kg should use welding flange. Add sealing points between the two flanges and fasten it with bolts. Different pressure's flange with different thickness should use different bolts. When connecting pipes, partial equipment of water pump and valve should be made into the corresponding flange shape which is also known as the flange connection. Where there is a part that is enclosed with bolts at the periphery of the two planes is generally referred to as the "flange", such as air duct connections, this kind of parts can be called "flange parts". But this connection is only a part of a device, for example, the connection of flange and pump, which is not appropriate to call the pump "flanged parts". Smaller one, like valves, can be called "flange type parts".